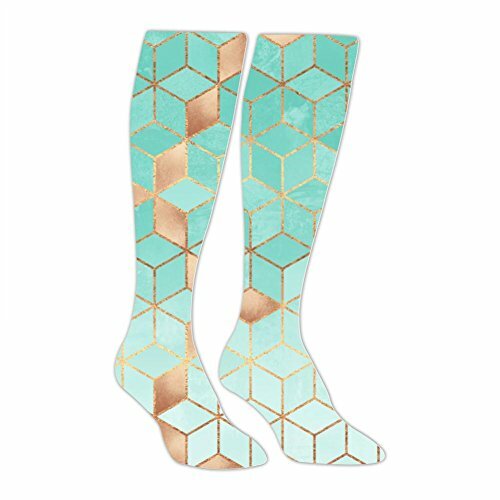 Forget flimsy, ugly, itchy synthetic hose and say goodbye to boring, bland, medical socks.Cotton Compression Socks are made for the no-compromise woman who needs stylish, sophisticated support and long-term comfort. Feel the difference today and enjoy the natural feel of cotton on your legs and feet. Material: polyester and cotton,Highly elastic and durable. Specifications: Sole 20cm /Stocking length 53cm,Suitable for all men, women and young and old. It will fit for your legs, the elastic bands at the top of the socks will not make you feel uncomfortable. Perfect for sport, nursing, athletes, teachers, office workers, pregnant mothers, travelers, and everyone who prefers natural fibers to synthetic materials! These non-binding, supportive socks stay up, and fit perfectly all day long, neither too long or too tight, there's no chafing. If you have any questions about this product by Yu2Ye, contact us by completing and submitting the form below. If you are looking for a specif part number, please include it with your message.